Many people, in the San Francisco area, view insects as “creepy crawlies” and we don’t like them in our home. Usually we can deal with the occasional six- or eight-legged home invader, or get someone else in the home to do it for us, but when the insect population in the home far exceeds the number of humans living in the home, the problem becomes more serious. Some insects are harmful to human health due to poisons, such as spiders, and some carry diseases that can be passed to humans, such as ticks and fleas brought into the home by family pets. Other insects can cause damage to the home, like carpenter bees; and some are just unsanitary, such as cockroaches. Additionally, when rats, mice, or other creatures are present in our homes, we risk illness as many rodents carry diseases that can be transmitted to humans through their droppings, or bites. And we all know that growing food is always a challenge since we have to compete with a population of creatures that exceeds our own. When our home or gardens and fields are invaded by large numbers of insects or rodents, it’s time to get help. The type of help you seek will depend on the type of infestation you have. Before you seek help from a professional pest control service in the San Francisco area, you will want to see if there is anything you can do on your own to eliminate the problem. Sometimes you can take care of the problem yourself, if it’s something simple, like ants getting into your home. 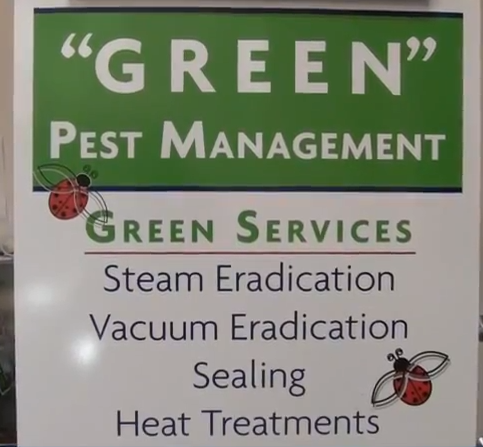 If the problem is more severe, like bedbugs, roaches, mice, or some sort of crop-destroying insect, you will definitely need to call in the professionals. Keep food covered and put away, including pet food. Keep the exterior of the home clean and free of debris to eliminate insects from congregating along the foundation of your home, and possibly finding a way in. Eliminate clutter where insects and rodents can hide, such as cardboard boxes, plastic bags, clothing lying on the floor, etc. Sealing all cracks around doors, windows, and exterior walls. Wipe up food spills immediately, making sure to get into any cracks and crevices, especially between the stove and counter top. Since insects and spiders are attracted to trash, keep your trash bins away from your house. Fencing in the field or garden to keep out larger animals. Small fencing, such as chicken wire or a mesh type of fencing may work to keep out rabbits and deer, but it will not work against mice and burrowing rodents, such as moles. Planting crops that do not smell good, such as garlic or onions, next to those crops that are enticing to pests may also help. This includes certain types of flowers such as marigolds. Planting flowers around your crops also draws in those insects that help pollinate, so it can be beneficial. Trenches filled with water or some other deterrent. Snails, slugs, and some types of worms may be prevented by the use of trenches between the rows of plants. The trenches will need to be plastic or some other substance that will hold a liquid in place to prevent the crawling bugs from crossing over into your crops. Netting over the plants. A fine mesh netting spread over the plants as they grow will keep out many insects. The problem with netting is that it may also prevent those insects that pollinate your plants. These are some of the things you can do keep the pest population in your home and in your fields down. Unfortunately, sometimes this isn’t enough, or the solution isn’t practical, and stronger measures must be taken. That’s when a professional pest control person can help. When choosing a pest control company to spray your home for insects, it is important to know what to look for. Research is the key, but if you do not want to take the time to do the research, and you want your pest problem taken care of right away, having access to companies that have been Diamond Certified can help. All Diamond Certified companies located in San Francisco have been thoroughly researched for you, including certification verification, and reliability. If one of these companies does not appear to meet your needs, you will have to do the research yourself. Where to begin? It’s important to note that pest control is a carefully regulated industry in California and the San Francisco area due to the use of pesticides. Indiscriminate pesticide use can cause illness in people and animals, and affect crops in a way that is not good for human consumption. For this reason, it is important to ensure that your pest control technicians, applicators and supervisors are licensed and certified pursuant to state regulations. In California, the Structural Pest Control Board licenses pest control companies and provides courses and examinations that must be completed within three years of an applicant applying for a license. In addition, other organizations may certify or license pest control companies for specialized training. 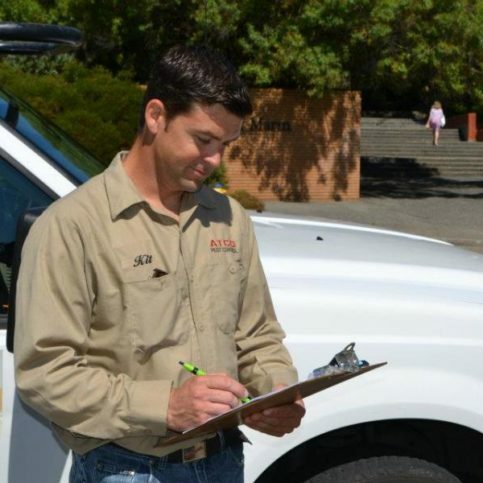 In addition to initial licensing through the Structural Pest Control Board, pest controllers must undergo regular continuing education to maintain their licensing. In addition to being licensed by the Structural Pest Control Board, it is possible, depending on the type of pest control company, that they will need to be licensed by the County Agricultural Commissioner, and the California Department of Public Health, depending on the type of pest control. 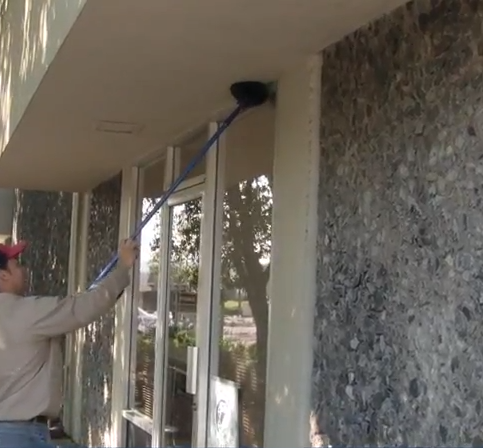 Many pest control companies in the San Francisco area may hold membership in other organizations, as well. These could include Pest Control Operators of California and/or the California Association of Pest Control Advisors. In addition to proper licensing and certification, it is important that the San Francisco pest control company you choose has employees who are properly certified to deal with your specific type of problem. There are many different certifications and types of licenses pest control workers can have, so ask questions and find out if they are licensed or certified to work in the area in which you need them. If you are looking for an exterminator to get rid of bugs in your home, you will want someone who is licensed or certified as a qualified applicator, and possibly licensed in Integrated Pest Management. If you are looking for crop pest control, you will want someone who is licensed as an Agricultural Pest Control Advisor. Now that you’ve done some research on pest control companies in the San Francisco area, it’s time to talk with a few local companies. When you interview them, make sure you have a written list of questions and write down each company’s answers. Do not settle for the first company you talk to. You have a right to explore your options, but keep in mind that the longer you wait, the more damage pests can do to your home or crops. Why Trust Diamond Certified Pest Control Companies Rated Highest in Quality? A pest control contractor treats for insects in a kitchen. Richard Estrada is 19-year veteran of the pest control industry and owner of ATCO Pest Control, a Diamond Certified company since 2009. He can be reached at (415) 669-4994 or by email. Q: Which super power would you choose, flight or invisibility? Q: If you were an insect, what would you be? A: I think I would be an ant—they’re hard workers and they don’t need to be told what to do. Q: Do you have any memorable job stories? A: One time, I got a call about an ant problem at a client’s house. As we were in the kitchen looking at the infestation, the client brought my attention to an ant farm that was sitting on the countertop. We both had to laugh at the irony. Q: What’s one movie that people would be surprised you’ve never seen? Do I want a Diamond Certified pest elimination company that is rated best in quality and backed by the Diamond Certified Guarantee? Are there any chemicals I am sensitive to? Do I want an integrated approach to my pest control problem? How often do I want to have pest control in my home? Is this a one-time event, or do I want a regular visit every month, or within some other time frame? Am I wanting to go as natural as possible, utilizing non-chemical methods of pest control? Am I looking for prevention as well as control of the current problem? After you have interviewed several San Francisco area pest control companies by telephone, it’s time to meet with a few in person. You may do this in their offices, or you may want to have them come into your home or cropland to evaluate the pest problem. You should not feel compelled to have anyone in your home if you are not comfortable; therefore, you may want to consider meeting in their offices first and arranging a walk-through by appointment during a time when you will be home with someone. Always go with whatever is most comfortable for you. To ensure an accurate estimate, what process do you follow prior to giving an estimate? What if my pest problem is more severe than originally thought? Once you start treatment, how long will it take to complete? Is there a drying time for any wet chemicals? Will clean up afterwards be required? If so, am I responsible for that? If the problem doesn’t go away after you have completed treatment, will I be charged for you to come back and do it again? Will there be any lingering odors? Do I need to move out of my home while you work? How long will I need to stay out of the area? Is the work warranted? If so, for how long? What does the warranty entail and is it a written warranty? Will I need to wash all surfaces and dishes, etc. before using them after you have applied treatment? Will repeat treatments be necessary? I have pets. What precautions do I need to take? What treatments will you use to get rid of rodents? What can be done to prevent them from coming back? Will this harm my crops? What if it rains right after you apply the treatment? What precautions need to be taken when picking crops? Will the residue remain on the crops, and if so, for how long? Can I enter my fields right away, or do I need to wait for a certain period of time? It’s best to choose a Diamond Certified pest control company because all certified companies have passed an in-depth ratings process that most other companies can’t pass. If you want quality from a pest control company in San Francisco, you can have confidence choosing a Diamond Certified company. Diamond Certified reports are available online for all certified companies. And you’ll never be fooled by fake reviews. That’s because all research is performed in live telephone interviews of actual customers. If you can’t find a Diamond Certified pest control company within reach, you’ll have to do some research on your own. If you do, it’s wise to call some references provided by your pest control company. Keep in mind, though, that references provided to you by the pest control company are not equal in value to the large random sample of customers surveyed during the Diamond Certified ratings process. That’s because references given to customers from companies are cherry-picked instead of randomly selected from all their customers. So the contractors will likely give you a few customers to call that they know are satisfied. If you do call references, specifically ask for a list of the company’s 10 most recent customers. This will help avoid them giving you the names of only customers they know were satisfied. 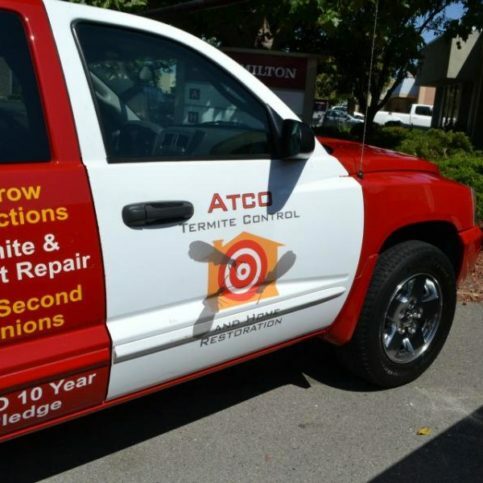 What type of work did this pest control company do for you? Did they do a thorough assessment of your insect or pest problem? Were the employees of this company courteous and helpful? Did they explain clearly what they were going to do so you could ask questions? Did they provide you with pest control options? Do you feel the price was fair for the work that was done? If you needed this type of service again, would you use this San Francisco area pest control company again? Were you pleased with the work they did for you and the length of time it took to complete the work? 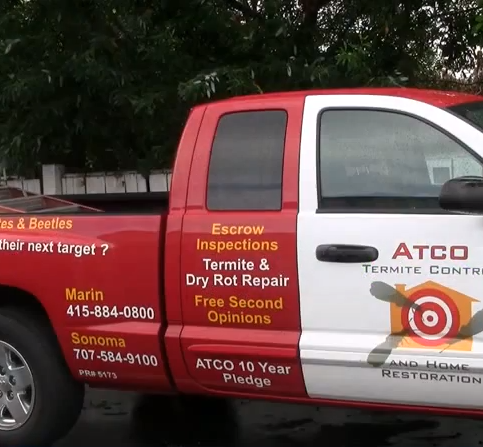 Were you satisfied with the work from this San Francisco area pest control company? Would you recommend this company to others who have experienced pest infestation issues? Is the company willing to spend the time necessary to communicate with you exactly what needs to be done and how it will be done? Can a pest control company in the San Francisco area satisfy your needs and eliminate your problem? Is the company willing to warranty their work and guarantee your satisfaction? Is the company willing to provide follow up care for minimal or no cost, if their first treatment doesn’t work as planned? Are they willing to provide you with a written contract and warranty for their work? Pest control can involve hazardous substances that can be harmful to you, your family, and your pets. 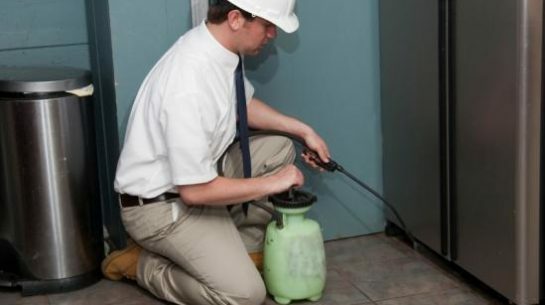 Before you hire a pest control company, you will want to find out what safety precautions they take when working with possibly hazardous materials, and what you will need to do prior to them coming into your home, and what precautions need to be taken after they are finished. Once you hire a local pest control company it will be important to keep in contact with the pest control service to ensure everything is going according to plan and no problems have come up in the process, such as there being a larger infestation than originally thought. When you are satisfied with the information your San Francisco pest control company has given you, and you are ready to begin, you should sign a contract that includes a warranty for the work to be done. Any changes to the contract should be completed in writing. Do not give a verbal agreement for anything without having it put into writing and signed by both you and the company. Can either you or the pest control company cancel? Will there be penalties assessed if you cancel the contract? Possible exclusion clauses in the contract. Exclusion clauses specify the things that can cause the contract to be canceled. Is there an arbitration clause or other method to settle possible disputes? The contract should be signed by both parties. How Can You Be a Good Pest Control Company Customer? It’s the pest control company’s responsibility to ensure they are meeting all safety and quality pest control standards when working in your home or on your land, but you play a big part in the success of the work. 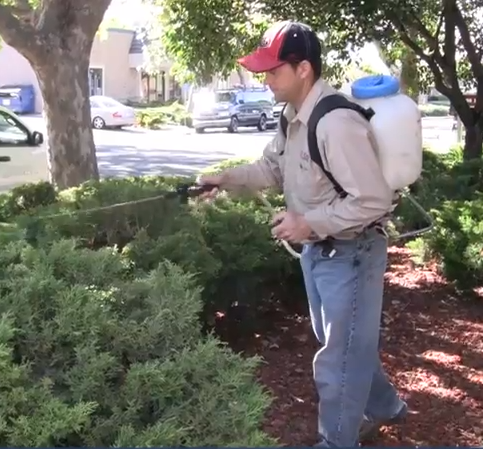 Here are a few simple steps you can take to be a good customer when hiring a San Francisco pest control company. Before you hire a pest control company in a San Francisco Neighborhood, restate your expectations and goals, and reiterate to the pest control company representative your understanding of the agreement. Most problems with local pest control companies occur because of a breakdown in communication. By being clear about your expectations and theirs, you can avoid most conflicts. Ask your pest control company representative if you should call to check on the progress or if he will call you with updates. Be clear and upfront with the pest control company. Let them know what you want from your pest control company, the long-term outcome you’re expecting and specific ways they can satisfy your expectations. Be sure your service representative has a phone number where they can reach you at all times while they’re working in your home or fields. The work will move along more smoothly if your pest control company can reach you for any necessary updates, questions or work authorizations. When the company calls you, return calls promptly to keep the treatment process on schedule. Pay for the pest control company work promptly. Why would you want to be a good customer? Pest control companies in San Francisco Neighborhoods appreciate customers who are straightforward, honest, and easy to work with. Your good customer behavior sets the tone from your end and creates an environment conducive to a good relationship. Things may very well go smoother and any problems may be more easily resolved. Upon the completion of the treatment in your home, you will want to sit down with the San Francisco Neighborhood pest control company representative and go over the invoice and the work completed. Have the pest control worker explain clearly the work that was done, and any follow up work that needs to be done by the company or by you. Make sure you have a good understanding of what has been done in your home, or on your land, so that, should the problem arise again, you will be able to communicate with the company clearly regarding what was done and what may still need to be done. Additionally, obtain an accurate list of any chemicals that were used in case you or someone in your home has a reaction to them. Finally, review all work completed with what is on the invoice you receive from the pest control company to ensure all work being paid for was actually done, and that all work was done to your satisfaction. The name and physical address of the company and their license number. Any charges for special equipment utilized. How long the warranty is valid. What part of the work is under warranty. An itemized list of all work performed. Any applicable hazardous waste disposal fees. Ants will come into a home if there is a food source. You may see a line of ants marching single file across your countertop or floor to or from a food source. What is the food source? Will removing it get rid of the ant problem? Can you locate and plug the hole they use? If the ants have built a colony somewhere within your home, the issue could be bigger than you think. In many states bats are a protected species, but bats can cause serious problems if they are in your home. First and foremost, bats can carry rabies. If someone is bitten by a bat, it is very they will need rabies shots, especially if it is unknown if the animal is a carrier of rabies. Better safe than sorry is the view of most people as rabies is a very serious disease that has no known cure. Additionally, bat droppings (guano) can harbor bacteria and the fungus known to cause Histoplasmosis, and be a food source for other pests, such as roaches. If you have bats in your home, it is best to consult a professional regarding the removal and clean up of the infested space as special equipment and suits may be needed depending on the amount of guano. Bed bugs can be a serious problem, and there has been a recent upsurge in infestations. If you suspect you have a bed bug problem, you will want to seek help immediately to get the problem under control. Bees can be beneficial to crops, but some types of bees, such as carpenter bees, can cause damage to your home. Also, wasps, hornets, and yellow jackets can be aggressive when defending their home territory. If someone in your home is allergic to bee stings, this can be a serious problem. Whether you want the creatures moved or eliminated is up to you, but a professional can help decide the best options for you and the creatures. We love our pets, especially the cute furry kind like dogs and cats. They are members of our family and bring us a lot of joy. Regrettably, they also may bring us ticks and fleas. Regular treatment of our pets can help prevent this problem, but once an infestation is in the home, it may be very difficult to get rid of the problem. Fleas can hide in the carpet and lay eggs and regular vacuuming may not be enough to get rid of them. Unfortunately, fleas and ticks live on the blood of animals, and human blood is just as good as dog or cat blood, but fleas and ticks can carry disease, such as Lyme Disease and plague. Mice in a home can be a problem as they breed and produce large litters in a relatively short period of time. In a year a female mouse may have up to 60 babies, which will be ready to begin reproducing within 10 weeks of birth (sometimes earlier). While mice may appear to be cute and cuddly creatures (to some), their droppings are unsanitary, and many mice carry the bacteria that causes salmonella. Additionally, mice can chew through walls, damage furniture, and make a mess in our homes. They also eat crops and food meant for livestock. As mice are a natural food source for many predators, too many mice in and around the home can cause there to be a large number of predatory animals, such as snakes, around our homes. As many snakes are poisonous, having a readily available food source for them can cause problems. Mosquitoes hatch where there is standing water. If you live near a lake, pond, or swamp, you may have issues with mosquitoes and getting rid of them may not be possible; however, there may be ways to prevent them from coming into your yard or home. Since mosquitoes can carry diseases, if you have a large number of them in and around your home, you may need to contact a professional to help you find ways to get rid of them. It isn’t often that spider infestations in a home are an issue as spiders prefer to be where there is a readily available food source; however, it is possible that your home offers such a readily available food source that you have an over population of spiders. While spiders can be beneficial, many of them are poisonous and can be hazardous to humans, such as the Black Widow Spider and the Brown Recluse. If you notice a large number of these creatures in and around your home, you may want to consider eliminating them before someone gets bitten. In addition to these common pests, there are a large number of insects that can affect crop production, including cutworms, snails, slugs, many types of beetles, and various rodents. Depending on how widespread the problem is, hiring a pest control company may be the only solution to saving your crops. A substance that attracts a specific type of animal to it. Sometimes used to attract pests to traps or poisoned baits. Application of a pesticide in a strip alongside or around a structure, a portion of a structure or any object. An insect that is useful or helpful to humans. 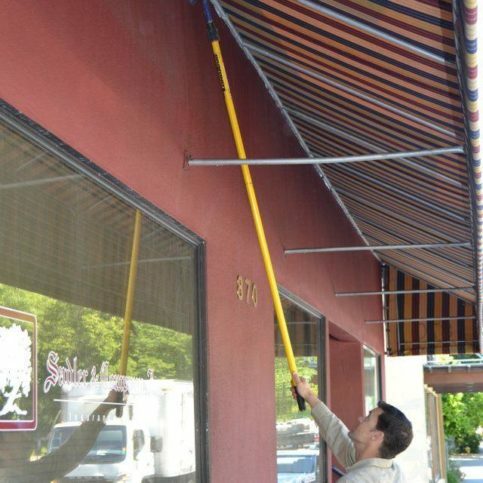 Beneficial insects are usually those that provide crop polination or pest control services. Beneficial insects often contribute to organic gardening (including in enclosed spaces such as greenhouses) and Integrated Pest Management (IPM) plans, and may include some species of bees, wasps, flies, beetles and ladybugs. The control of certain creatures by using their natural enemies, such as predators, parasites or disease. Something that affects a wide range or large number of organisms. In pest control, the term ‘broad spectrum’ usually refers to broad spectrum insecticides or pesticides that kill a wide variety of insects. An inert liquid, solid, or gas added to an active ingredient to make a substance dispense effectively. A carrier is also the material, usually water or oil, used to dilute a product for application. Individuals who are certified to use, or supervise the use, of any pesticide covered by their certification. The amount of a product in a certain volume or weight. Application of pesticides into cracks and crevices with no residual on outside surfaces. To remove or neutralize a product so the environment is safe. The measured quantity of a product used at one time. The effectiveness of a product. A spray of very small pesticide-laden droplets that remains suspended in the air for a time. A pesticide that has been designated for use by the general public. An invasion of pests within an area such as a building, greenhouse, agricultural crop or landscaped location. To prevent something from happening. A type of pesticide used to disrupt the normal development of certain insects. 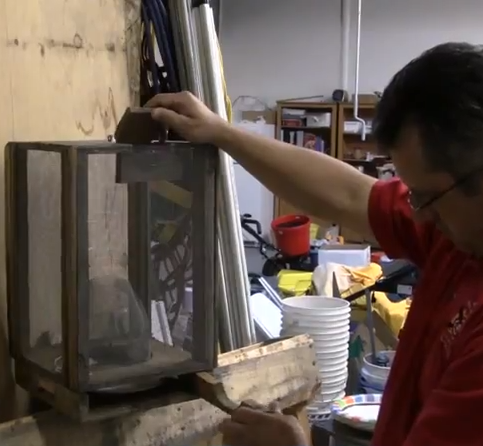 Eliminating pests by using multiple control methods. An information sheet provided by a chemical manufacturer describing the qualities, hazards, safety precautions, and emergency procedures to be followed in case of a spill, fire, or other emergency. 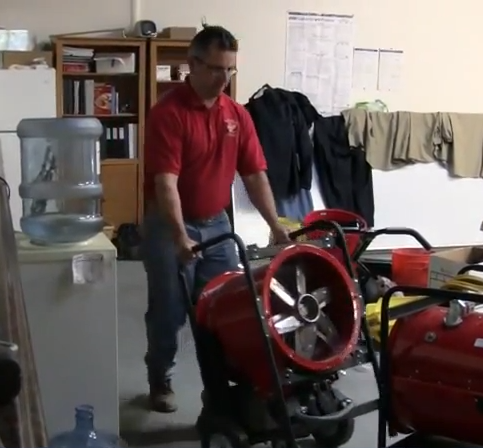 The federal agency that tests and certifies respirator equipment for pesticide application. Does not last long. Non-persistent insecticides are sometimes preferred for short-term pest removal. Animals or plants within a pesticide treated area that are not intended to be controlled by the pesticide application. A plant or animal that gets all of its nutrients from another organism. Parasites often attach themselves to their host or invade the host’s tissues. A microorganism that causes a disease. Some pest insects carry pathogens that can be dangerous to human health. Any substance intended for preventing, destroying, or repelling insects, rodents, nematodes, fungi, weeds, or any other forms of life declared to be pests. Also any substance intended for use as a plant regulator, defoliant or desiccant. Genetic qualities of a pest population that enable individuals to resist the effects of certain types of pesticides that are toxic to other members of that species. A pesticide used to keep certain pests away from a treated area by saturating the area with an odor that is disagreeable to the pest. Traces of pesticide that remain on treated surfaces after a period of time. Any substance for which a special license or permit is required before it can be purchased or used. A pesticide used for control of rats, mice, gophers, squirrels and other rodents. A pesticide that has a mode of action against only a single or small number of pest species. Treatment of a specific, limited area, instead of a general overall application. A pest that attacks structures or buildings and destroys or damages them. Structural pests include wood boring insects includng termites, wood beetles and carpenter ants. The ability to endure the effects of a pesticide without exhibiting adverse effects. The potential a pesticide has for causing harm. Q: Why choose a Diamond Certified Pest Control Company? A: Diamond Certified helps you choose a pest control company with confidence by offering a list of top-rated local companies who have passed the country’s most in-depth rating process. Only pest control companies rated Highest in Quality earn the prestigious Diamond Certified award. Most companies can’t pass the ratings. American Ratings Corporation also monitors every Diamond Certified company with ongoing research and ratings. And your purchase is backed by the Diamond Certified Performance Guarantee. 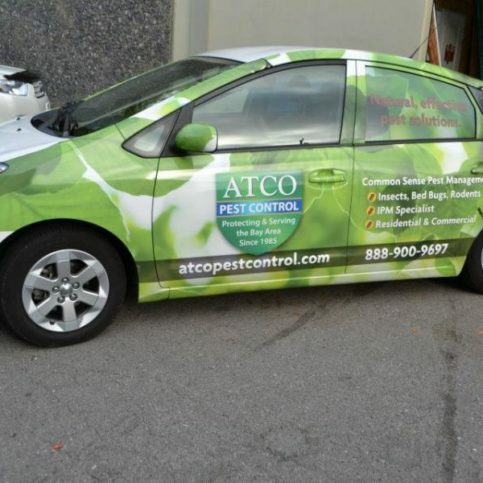 So you’ll feel confident choosing a Diamond Certified pest control company. A: IPM is Integrated Pest Management. The goal of IPM is to control pests by using the best control methods after carefully considering each method’s safety, effectiveness, cost, and its effect on non-target organisms and the environment. 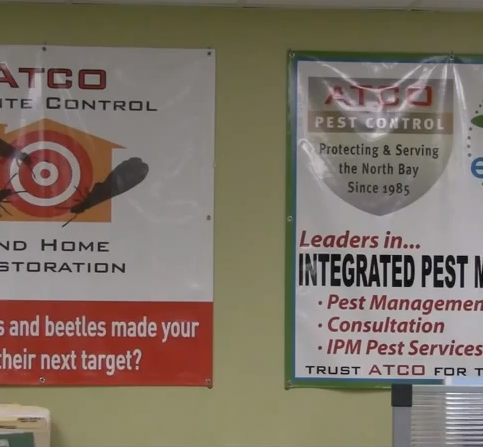 IPM does not necessarily eliminate the pest, but works to control it. Q: Why should I hire a professional Alameda County Pest Control Company instead of doing the work myself? A: Sometimes the pest control problem involves the use of chemicals that may be harmful to humans and pets. It’s important to know how to apply the chemicals in a way that will protect you and everyone else in the home. A properly certified and licensed pest control company can provide someone who can do that safely. Q: Shouldn’t all the baseboards in my home be sprayed? A: No. It is not necessary and needlessly exposes people and pets to pesticide. Pests may live behind baseboards, or inside them, but never on them. If pesticides are applied, they should be applied to the cracks, crevices and voids where pests spend most of their time. Q: If I want ongoing, periodic service, what should the service consist of? A: Once any existing infestations are brought under control, any further service should involve ongoing inspection for further infestations, and treatment if further infestations are found. Q: What frequency of service is best? A: The frequency of service depends upon your situation and the type of pest involved. Once your pest problems are eliminated, you may choose to retain periodic service, but that service should focus on inspection and spot treatment of pests, if and where they are discovered, rather than routine pesticide application. Q: Who can I call if I suspect my house is not being properly serviced? A: First express your concerns to the technician who provided your service. If you’re not satisfied with the technician’s response, call the company. If issues still cannot be resolved, you can contact the Better Business Bureau, Attorney General’s office, or the agency that regulates structural pest control in your state. Q: Are pesticides always necessary to control pests? A: No. Not all pests require pesticide use. Many can be managed by using only less toxic formulations such as baits, dusts, and microencapsulate pesticides that present less risk of human exposure. Q: Are pesticides safe? What if I am pregnant, or I have an infant or small children? A: No chemical is absolutely safe. The U.S. Environmental Protection Agency (EPA) registers all pesticides, after determining that each presents tolerable risk when used according to label directions. Any use inconsistent with a pesticide’s label is a punishable violation of federal law. In general it is the misuse of pesticides that is hazardous, though the EPA recognizes that risks associated with pesticide exposure may be greater for pregnant women, children and infants, and takes this into account when registering pesticides. If you have any concerns about pesticide use, have your physician review the labels of pesticides that will be used in your home. Q: How much should pest control service cost? A: The best way to determine this is to compare estimates from several companies. It can be unwise to hire the company offering the lowest price, because there are many other factors to consider such as licensing/certification and reputation. The more information you gather, the easier it will be to decide if the price is right. Q: Who do I call if someone is accidentally exposed to pesticides? A: First call the Poison Control Center in your area. It’s best to have the name of the pesticide so you can inform the Poison Control Center, emergency medical technicians, and your physician. If you do not know the name of the pesticide, the technician or their company should be able to tell you, or you can check the service reports they gave you after each treatment. Always save these reports! They are required to show what pesticides were used. Follow the Poison Control Center’s instructions.